Hello everybody ! 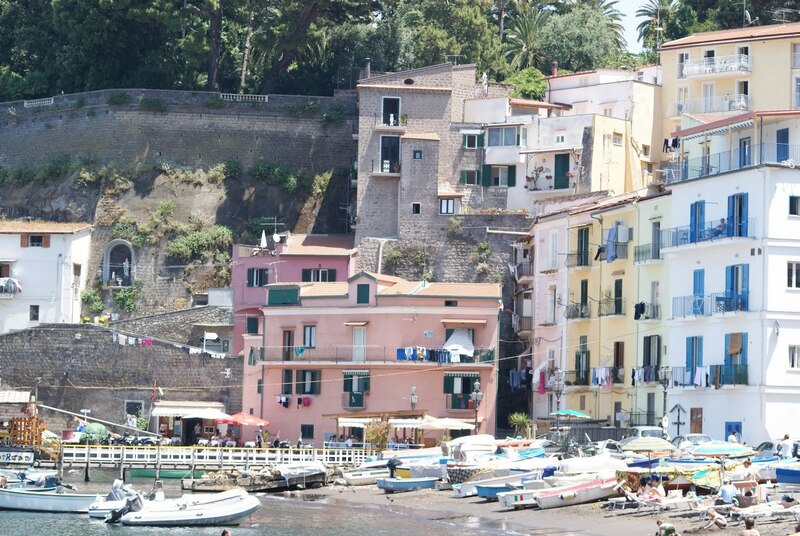 I've come back from a mini holiday I spent on the Sorrento coast, a place I love so much ! It wasn't the first time in those amazing places, I have to say everytime I go back there the atmospheare puts me in a good mood ! The pics you see in this post were taken at "Marina Grande", a small fishermen village. To get there there's so many stairs, but fortunately I had chosen a simple and comfy outfit, made of denims and Converse shoes !. Ciao a tutti ! Sono reduce da una mini vacanza di un paio di giorni che ho trascorso sulla costiera sorrentina, un posto che amo molto ! Non era la prima volta che mi recavo in quei luoghi meravigliosi e ammetto che ogni volta che vi ritorno l'atmosfera mi mette subito di ottimo umore ! Le foto che vedete in questo post sono state fatte a Marina Grande, ovvero un antico borghetto di pescatori. Per accedervi ho dovuto scendere molte scale, per fortuna avevo optato per un outfit molto comodo, con le Converse ai piedi e i jeans !. ...E ora si risale ! ...And now let's go upstairs again ! A bit of stairs climbing was necessary also to feel less guilty about indulging into my passion for the typical Sorrento dessert, the lemon delice (you can see it here, pic taken with my Iphone)...you can't understand how delicious it is if you have never tried it ! :-) It's impossible to resist !. What about you, do you have a dessert you cannot resist to in any case ?. Un po' di "movimento" si è reso necessario per alleviare il senso di colpa causato dal cedere alla mia smodata passione per il dolce locale sorrentino, la delizia al limone (quì sotto fotografata con il mio Iphone)...se non l'avete mai provata non potete capire quanto deliziosa sia ! :-) E' impossibile resistere !. E voi, avete un dolce in particolare al quale non potete resistere ?. Ci sono stata, ci sono stata!!! La delizia però non l'ho mai mangiata. Io posso uccidere per il cheese cake!!! I'm so jealous!!! Beautiful photos! anche iooo! 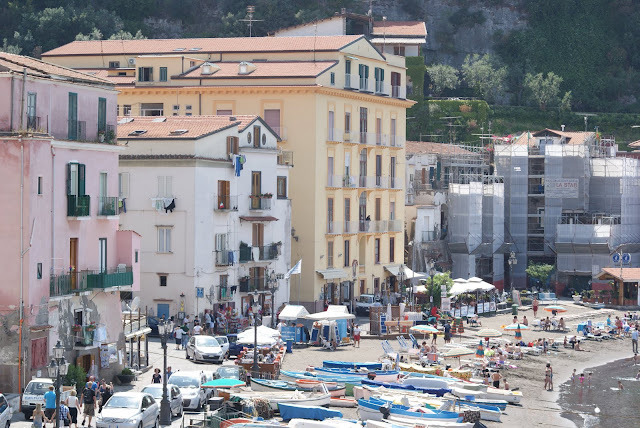 amo la costiera amalfitana, ho glia amici li e vorrei tanto tornarci per un weekend! che splenore quei posti! Thank you for your lovely comment. Great style! farei volentieri ankio una vacanza! cmq io sn una gran golosona quindi sn un infinità i dolci a cui nn sò resistere! che bella!anch'io sono stata da poco a sorrento adoro i tuoi capelli..
you look nice! looks like a lovely day in heaven! do on your free time? OH how beautiful these pics are! Looks like fun :) Love that top on you! I love your top!it's so delicate and romantic, beautiful. I follow your lovely blog, dear! love your blog, your bag is gorgeous !! that place is beautiful!!! & your blouse is so cute<3 i'm planning on visiting Italy next year! love this pretty blog.. i'm your new follower! ps. thank you for your lovely comment on my post! Great blog! thanks for the follow, I followed you as well! ma che belle foto! :) non sai quanto io ti invidi quel bauletto di Gucci! è davvero bellissimo, con i dettagli in lilla (se la vista non mi inganna! :) ) un bacio! Tu es allée au La Vie En Rose. Et je suis venue ici! Et ton petit voyage aussi! oh my god, that looks like paradise! would you like to follow each other? :D hope you like my blog too! Thank you for your comment :) Good night !!! Thanks sweet, off course I would like to follow each other. now following see you in my list soon! Love, m.
By the way, do you want to follow each other? you have a lovely blog! Lovely outfit for a day by the sea! My favorite dessert is key lime pie. It's so tart and irresistible! Thanks for stopping by my blog. I love Sweden and Paris too! It's not fair, though, because you will be going to NYC before me, hehe! Great blog gorgeous !!! Following you offcourse and hope you follow me back too and thanks for your comment on my blog !!! Love your white top! Thanks for stopping by my blog. I'm following you now. Have a nice day! Que lugar tan hermoso! Me hace desear mas el verano, luces divina con el lace top y muy comidita, Gracias por visitar mi blog, besos! lovely place, would love to visit there someday! plus, i love ur top! Beautiful outfit and beautiful scenery! Looks like such a wonderful place. 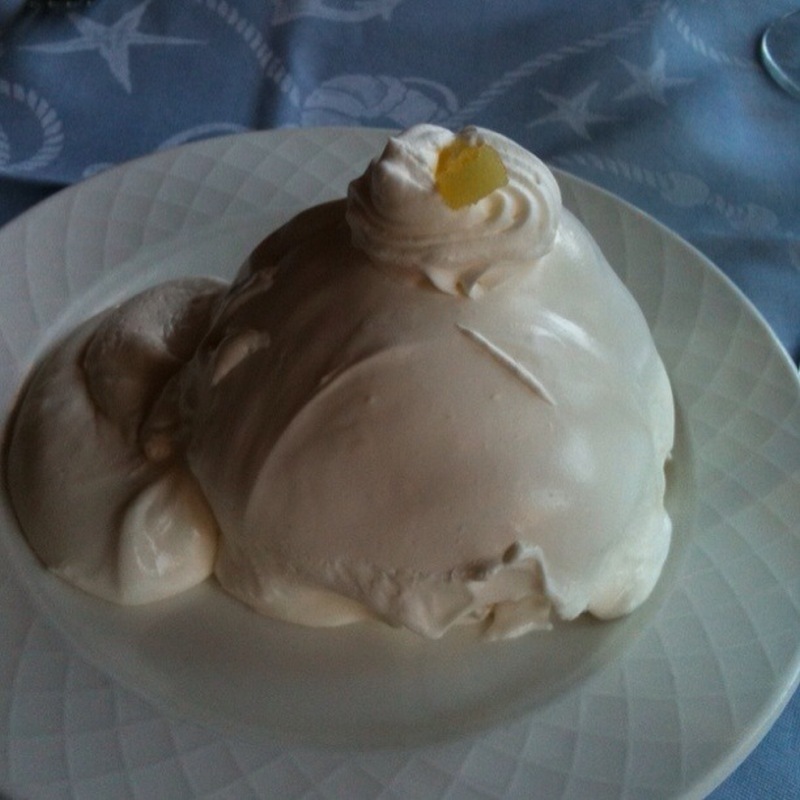 I've never tried lemon delice - it looks so yummy! looks like such a fabulous vacay! i love your top. it's so cute. and that dessert looks yummy. i like your blog too. so yes, let's follow each other! I love your shirt :)! Amazing outfit, and amazing place!! Your bluse is wonderfull! Thanks for visit my blog and coment, your blog is very cute, so i follow you now. Check out my new post ! beautiful pictures dear!! love your top!! La maglia che indossavi è splendida! Thanks a lot, dear! I follow you back now! You should give me sometips about what to do in Sorrento!!! Love the way you dress! Cool outfit! that top is SO beautiful! Great bag! And your top is very pretty! feel free to visit my blog! wow mi paice davvero come outfit! Great trip, excellent taste of fashion, charming smile... absolutely fantastic!! ti capisco, ma io non resisto al sole, soffro troppo il caldo! :) ah allora è proprio quella che dico io, mamma mia non sai quanto la adoro! una borsa di Gucci (il mio brand preferito) con gli inserti del mio colore preferito, il massimo! :) purtroppo l'avevo poi persa di vista e ho perso l'occasione di comprarla1 :( baci! You're so gorgeous. I love the outfit. Amazing. I love your pictures! I like the top very much, Lovely post! beautiful photos..great post as always!anyway i just posted something so i'm hoping you'll check it out..kisses! BLOGGERS!!! NEED DAILY DOSE OF FASHION? VISIT..
Hi! I'm following you now too! Your blog is so cute. Your outfits are pretty too. Che bel posto! e la tua maglia è bellissima!! That dessert looks impossible to resist! And I love your top. It's so lovely and feminine. And I like that it can be worn dressed up or down. looks like u had a great time ! Love the white shirt! And amazing views! Check out my Stylish Confessions! It looks amazing there! Beautiful pictures! dude, I can't read your blog but I followed back. You should get a translator widget for americans! you have a great blog, and gorgeous photos! will you follow me please?, ill follow you back beautiful! Fabulous blog. Very nice pics and gorgeous top. LOVE your outfit, girl! SO pretty! I think the ocean always makes people happier ~!!! A wide open space always make people happy doesn’t it! I’m following u back !!! thanks for the sweet comment and follow! in più la tua maglietta è davvero bellissima, così traforata e con le maniche un po svasate! ti seguo sia con google friend connect che con twitter, spero che lo faccia anche tu se ti piace il mio blog! Amazing top! And it looks great overthere! thaaks a lot of your comment on my blog! Hi hon, just dropping by letting you know that my blog changed. Follow me there instead of the old one. Girl, What an incredible beautifull top! Cute, casual, and well put together. Ciao Vale!! Your English is very good, but...Io parlo l'italiano un po'!! 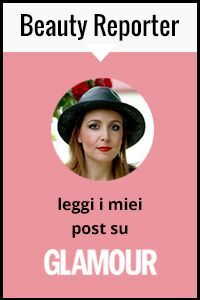 Grazie per scrivere nel mio blog!! Certo che te seguo!! Se vuoi seguirmi sarò molto contenta perchè sei Italia e io adoro Italia e gli italiani!!! Non ci sono mai stata ma dalle foto sembra un bel posto! You have a great blog, I love fashion and cookies! Lovely pictures!! and your shirt is so feminine and chic.